Let’s travel back in time to España on our Honeycation! 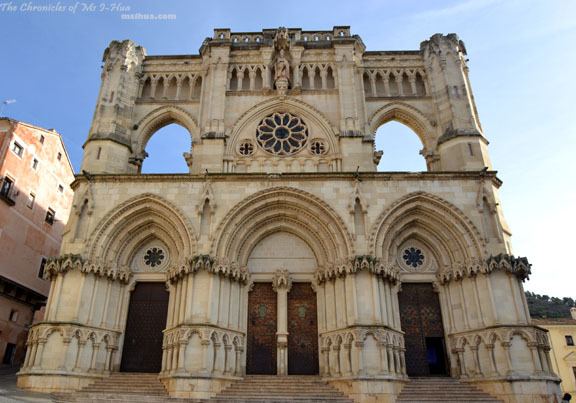 On this visit, we take you to Cuenca, an old medieval city which was occupied by many conquerors starting from the Arabs and finally reconquered by the Christians. 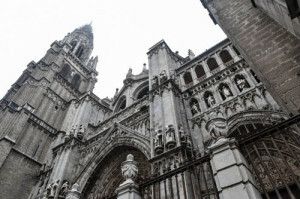 It has a convoluted and confusing history of conquests between the Arabs and the Christians, resulting as with the most of Spain, a very mix reflection of architecture in the surroundings. 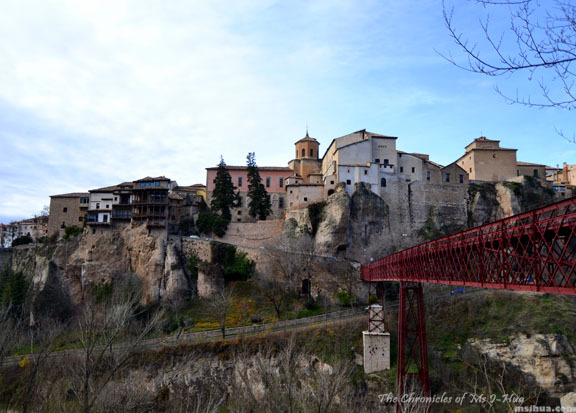 Cuenca is listed as a UNESCO World Heritage site for its beautiful historic walled town which encases very well preserved heritage buildings, in particular the Hanging Houses. Aptly named as they hang off the rock! To start us off on our journey, we had to walk from the ‘new’ town into the ‘old town’. This involved walking on The Bridge of Saint Paul (Puente de San Pablo). You can’t really tell from our pictures, but the red steel bridge is actually built atop the old crumbled bridge. 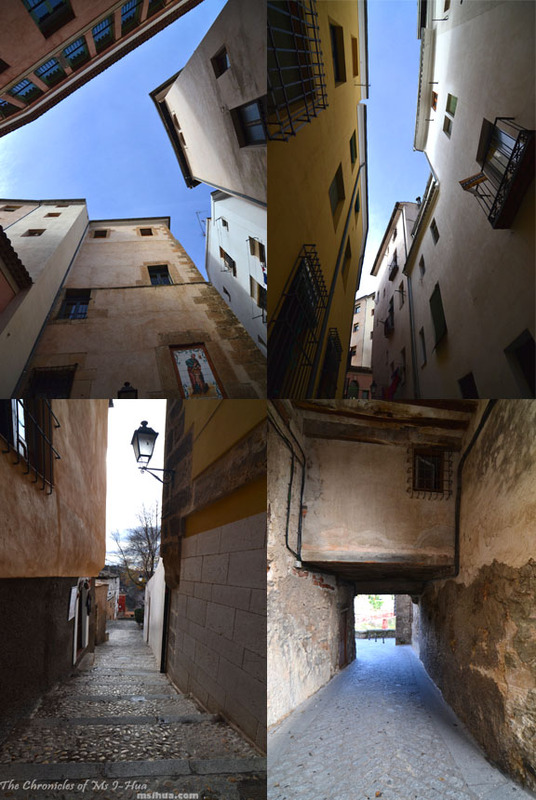 That coupled with my intense fear of height, made for a very scary and unpleasant walk into the old town. As you can see, it’s a beautiful bridge with magnificent views. Sadly for me, I couldn’t look anywhere but straight ahead with my heart beating out of my chest. The bridge wasn’t narrow at all, it was the 40 metre drop below partnered with a very short barrier that got me feeling nauseated. The Boy on the other hand took his own sweet time enjoying the magnificence around him. 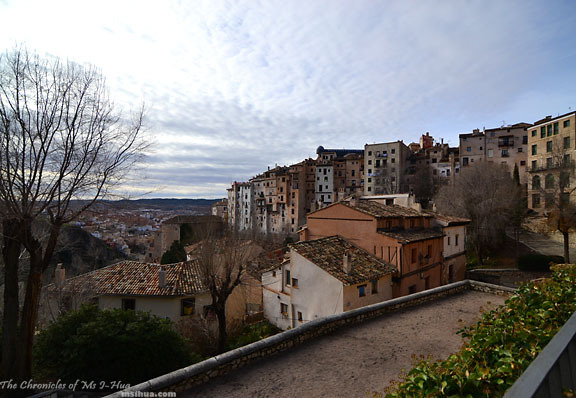 Cuenca is a city so old that the current population of the town is dwindling. 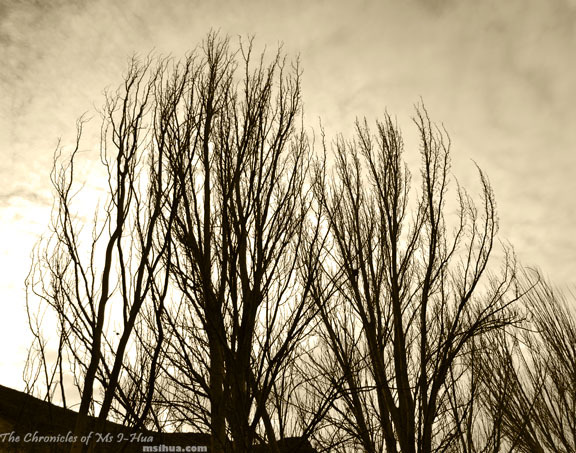 As generations pass, children grow up and leave the nest. 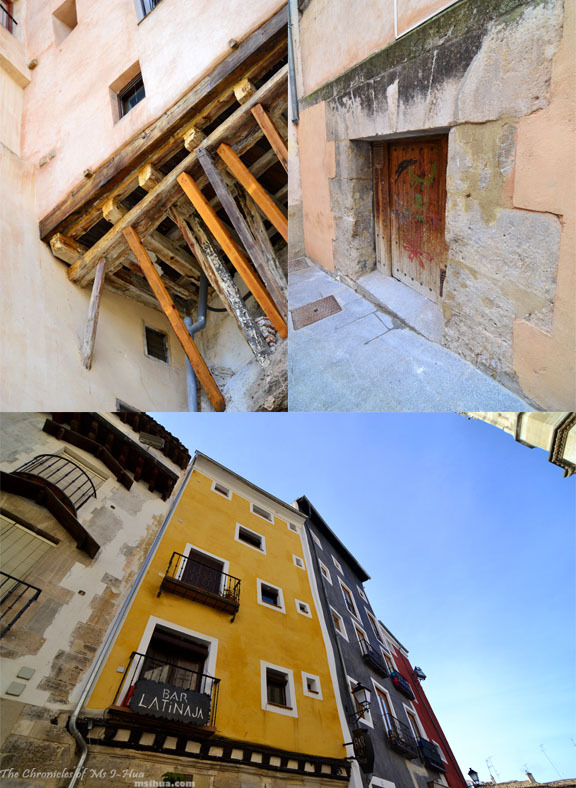 Such is the case with Cuenca, with its younger residents opting to move out of the old town into the new town. The structure of the houses were quite interesting as well. The ‘apartment blocks’ were built on different levels of the hill. Which meant that even though you were on the 4th floor of one building, you could look out of the window to see a donkey on the street right next to you. Another reason why the town’s population is dwindling is due to its housing inflation. It’s cheaper to stay in the new town than the old, hence only 3000 odd people are left here. On the top right picture, you can see a door painted with a splash of green. That’s the door where a young bull comes raging out once a year during the festival of San Mateo, where they celebrate the conquest of the city by Alfonso VIII in 1177. 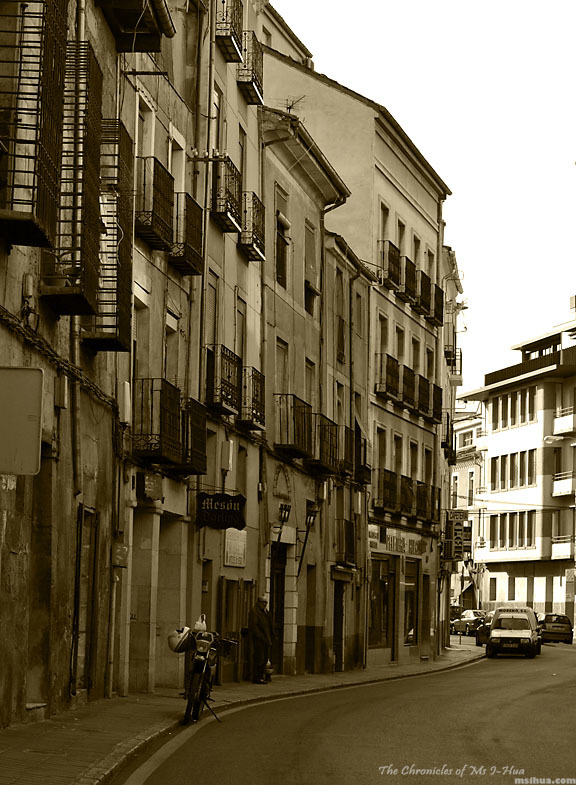 The young men from the two Cuenca towns will run with the bull through these narrow streets. It’s hard to imagine the number of people that would participate given how tiny these lane-ways are! 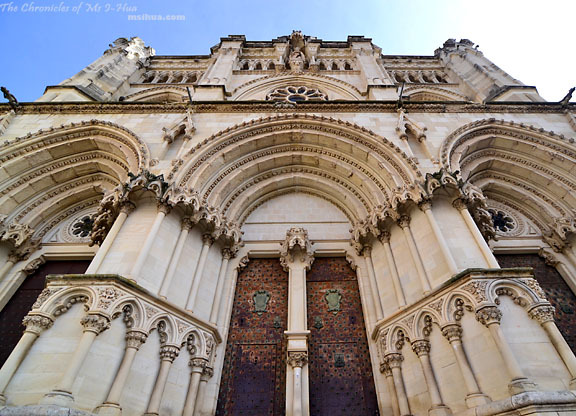 The other famous site to visit (and see) in Cuenca is the Cathedral of our Lady Grace and St Julian, the first Gothic style cathedral in Spain. The cathedral originally built from 1182 to 1270 did not stand the test of time and was rebuilt in 1902 after it crumbled. Cuenca is a beautiful medieval town rich in history and not often visited as much as their neighbouring big cities like Valencia and Madrid. However, if you are travelling between the two, we strongly recommend making a tiny stop over for a visit here. 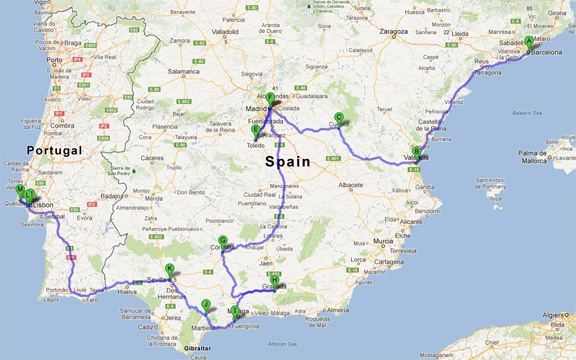 Above is the map to show you the distance we travelled across Spain ending in Portugal, with each stop marked. 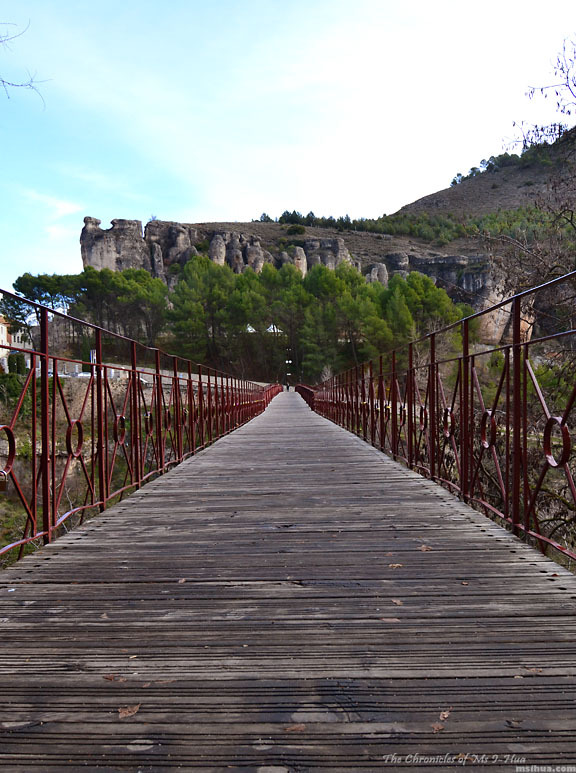 We hope you enjoyed the third part of our tour (pushpin “C”) to Cuenca. With the pushpin markers above, you can be assured many more to come! The architecture looks marvellous. I would definitely have a good time here. Haha. I’ve never been to spain. hopefully, when i apply for an exchange to italy, i would have a chance then. Aww thanks! You must visit 🙂 It’s great fun! I feel so ignorant hehe i’ve actually never heard of Cuenca but it sure looks like a beautiful city! Would love to travel there one day 🙂 Can’t wait to read more about your travels! I’m not afraid of heights but I really don’t like rickety bridges. Eeek. Oddly, I’m okay if it moves (like a suspension bridge thing) so long as the barriers are chest high.. these were knee high! Eep! Merry Christmas, Happy Boxing Day & a Fantabulous New Year!